Hinamori is an upbeat and easygoing girl who gets along with nearly everyone she meets. Hinamori is generally quite trusting, but also very impulsive and naïve. She greatly admires her former captain, Sōsuke Aizen, whom she became a shinigami just to serve under, and Hinamori refuses believing that Aizen intentionally betrayed Soul Society. Her appearance is fairly ordinary compared to other shinigami in Soul Society. She wears her hair up in a bun with a cloth wrapped around it. According to Tite Kubo, Hinamori's name was changed at the last minute; she had a completely different name in the sketch stage. Hinamori grew up in Junrinan, District 1 of Rukongai, along with Tōshirō Hitsugaya. While Hitsugaya tended to be a bit of a brat as a child and insisted that he would protect her, Hinamori found him amusing and treated him in an older sisterly fashion, and the two became close friends, with Hinamori giving him the nickname Shiro-chan (little Shiro in English Anime). When Hinamori entered the shinigami academy, she excelled at kidō. It was there that she met Kira and Renji, who soon became her friends and, later, her fellow lieutenants. They were placed in the 5th Division of the Gotei 13 under Captain Aizen and his lieutenant, Gin Ichimaru. 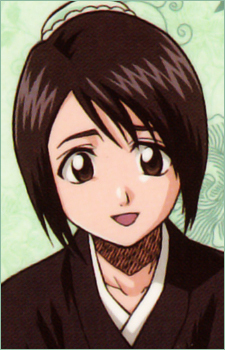 While Kira and Renji would later leave to other Divisions, Hinamori remained in the 5th Division and became the division's lieutenant (through much hard work, as noted by Hitsugaya). Shikai Special Ability: In this form, Tobiume acts as a focus for Momo's spiritual power, concentrating it into energy bursts capable of cratering floors and breaching walls. Momo can also compress her power into massive energy spheres and toss them from the blade's tip. The girls in Bleach come in all shapes and sizes, but you’d never expect so much power in such small packages. Don’t be fooled by their small stature, these girls are capable of fighting even the most monstrous Hollows and skilled Soul Reapers. Bleach focuses more on action, friendship, and other shounen anime elements while rarely touching on romance. But you can leave it up to the fans to fill in the blank when it comes to romance in this popular anime series! Find your favorite Bleach character ship here.